Ahmet received the B.S. degree in Mathematics from Bogazici University, Istanbul, Turkey in 2009 and M.S. degree in Computer Science and Engineering from Sabanci University, Istanbul, Turkey in 2014. 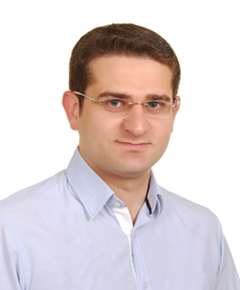 He previously worked as a Research Scientist at Speech and Natural Language Processing Laboratory in Scientific and Technological Research Council of Turkey, from June 2012 - August 2016. In January 2017, he joined the Center for Robust Speech Systems (CRSS) Laboratory at the University of Texas at Dallas. Currently, he is pursuing his Ph.D. degree as a Research Assistant in CRSS.